#1977Club – a final post! Four books in total, only one of which was a fail (the Carter). Rediscovering favourite authors like Brautigan and Plath was a joy, and exploring Margaret Atwood’s early stories just served to reinforce what an excellent writer she really is. Despite my issues with the Carter, I *will* try other titles by her – if for no other reason than to prove I haven’t turned into a soppy old wuss!! As our clubs have got slightly more up to date in their decades, I’ve tried to slip in re-reads of favourite authors; so I was very happy to be able to find a Richard Brautigan book from 1977. 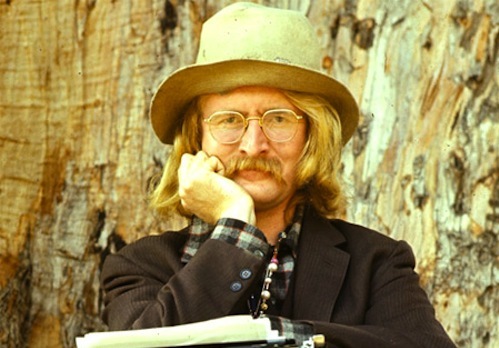 Brautigan is one of my long-time loves; I first read his work back in my late teens, as part of my exploration of the Beats, and I’ve written about him before on the Ramblings. My early copies of his books were bought from a shop called Paperback Parade, while I was living in flatland in Cheltenham. The shop (which I think was a chain at the time) only sold paperbacks, of course, and they were organised by publisher on bare white shelves. My Brautigans were from the Picador section, and their editions usually featured a photograph of the author with his current girlfriend on the cover. 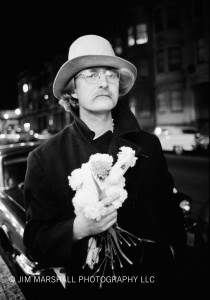 I confess to being initially drawn to the books because Brautigan kind of reminded me of a guy I had a major crush on at the time (and I later found out there was a weird kind of synchronicity to that – which is another story…); but once I began reading him, I was utterly hooked on RB. His writing is like nobody else’s and I love his weird, warped, deceptively simple and completely unique narratives. If my dreadful memory serves me correctly, “Dreaming of Babylon” would have been one of his books I bought as soon as it came out in paperback – or at least fairly soon after. It’s late Brautigan – only one further novel was published in his lifetime, plus one more very much posthumously – and it’s not usually listed amongst the titles he’s best known for. But I tend to love all Brautigan, so I was happy to revisit it. In fact, I went through a big re-read of his whole canon a few years pre-blog, and I’d probably be happy to do so again. Nevertheless, it’s “Dreaming of Babylon” from 1977 that I’m meant to be talking about here, so I’d better get on with it. ….I was on my way over to the refrigerator. I looked inside and then hurriedly closed the door when the jungle foliage inside tried to escape. I don’t know how people can live the way I do. My apartment is so dirty that recently I replaced all the seventy-five-watt bulbs with twenty-five-watters, so I wouldn’t have to see it. It was a luxury but I had to do it. Fortunately, the apartment didn’t have any windows or I might have really been in trouble. Card is hampered in all his attempts by Babylon; after being hit on the head by a baseball when young, he spends half of his time dipping out of reality into labyrinthine fantasies of the place. In the complex and detailed stories he makes up in his head, he’s the star: a top baseball player or a successful private eye, in a plot out of a Saturday morning serial, with his beautiful sidekick always in attendance. These fantasies, which seem to take over at will, have interfered in everything he’s tried to do: he could have been a cop like his friend Rink, except he flunked the test by dreaming of Babylon; he can’t even be relied on to get off the bus at the right stop if a fantasy takes over. Quite how he’s going to manage to deal with the strangeness of the next 24 hours is anyone’s guess. “Dreaming of Babylon” ends up being a riotous tale involving a number of corpses, fortunes that rise and fall, some extremely hilarious and completely un-PC inappropriate humour, an unfortunate murder victim who is the subject of necrophiliac longings, plus plenty of sly debunking of the tropes of hard-boiled detective fiction. Instead of being one step ahead like the gumshoes in those stories, C. Card is constantly one step behind what’s happening; and every time you think he’s going to succeed, something manages to get in the way. Frankly, it’s probably a good thing that his pal Rink became the policeman and not him. The world sure is a strange place. No wonder I spend so much time dreaming of Babylon. It’s safer. Underlying the humour I did sense darker subtexts. Card’s relationship with his mother is not a happy one, and when dealing with her he turns into a whining little boy. 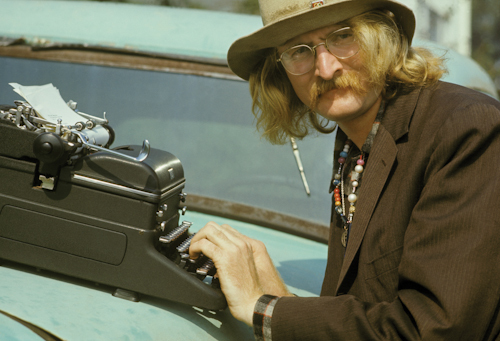 As for the fate of his father, let’s not go there… Brautigan’s own family background was complex and troubled, so it’s not entirely surprising that his hero would also have an unpleasant home life. Additionally, Brautigan’s attitude to women is always problematic, and this was also reflected in his real personal life. The women in the “Dreaming…” are stereotypes; but then the story is dealing with literary clichés so perhaps that’s not unexpected. And certainly the glamorous blonde who drinks beer like a man but never needs to pee is great fun! So I loved “Dreaming of Babylon” very much on what must be at least my third re-read. Yes, there are plenty of non-PC elements, but the comedy is very, very black and very, very funny; I always adore Brautigan’s wry, dry narrative voice and his idiosyncratic outlook on the world; and he’s an author I can return to again and again, always with enjoyment. My first book for the #1977 was a joy, and let’s hope the rest of this week’s reading ends up being so good. The Brautigan is one I really wanted to return to; I love his work dearly, first coming across it in my late teens, and I’ve gone back to his books many times over the years. In fact, I had a complete chronological re-read pre-blog and it was marvellous. I’m sure I’ll read him again, though probably not for one of our reading years unless I’m lucky.